Post news Report RSS	Release on 30th! We finally finished our long-awaited 4X turn based strategy game! 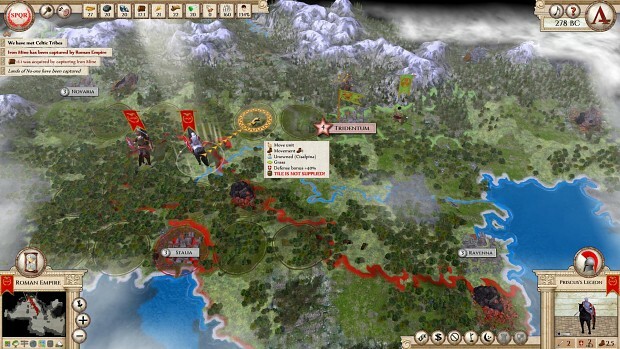 Aggressors: Ancient Rome is finally here! The new 4X turn-based strategy developed by Kubat Software studio and published by Slitherine is to be released on August 30th. Aggressors: Ancient Rome is a complex 4X strategy with a great depth and here I would like to give you a quick insight into what is hidden under the hood. We tried to recreate the ancient era Medditerranean Sea, circa 280BC, to be as historically accurate as possible. We used historical sources to design the map, create an original setup and the web of relations between the ancient cultures. 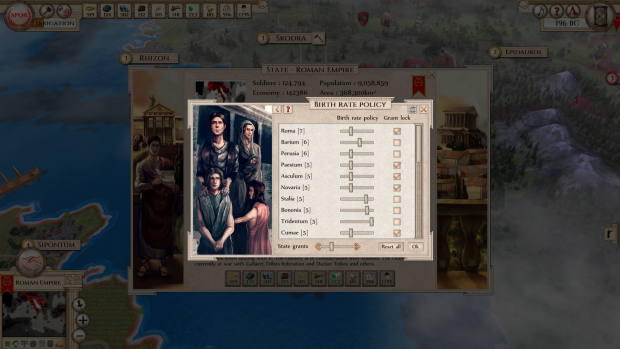 There are 20 playable factions, each with their own characteristics and objectives, ranging from small nomadic groups on the margins of the known world, to quarreling Greek city-states, to large empires of Seleucids or Ptolemy. And of course, the rising Roman Republic. The original setting can be adjusted by using 7 difficulty levels, but you can also set a different difficulty level to individual AI players. There are also great many settings to customize the look of the map, by using various overlays, unit size, terrain details, etc. The game features a multitude of mechanics that react to each other but much is hidden under the surface in order not to overburden the player with too many details. The two tutorials (basic and advanced) together with a robust system of game hints and tooltips and the resourceful in-game library should provide a level of detail as anyone can need. The game features many typical 4X concepts that were used as solid foundations for the new and original ideas. The basics include resource management (10 types of resources that are acquired in mines, harvested on tiles and generated in cities);different types of governments that greatly affect the internal political situation and economy; complex diplomatic relations ranging from simple war-peace relations to 11 types of treaties, 2 military pacts and even to high-level political cooperation in confederations, federations and even annexation; as well as scientific advancements that affect political, military, social and cultural life of the empire. Using these stepping stones, we incorporated a number of new features and game concepts to enhance different aspects of the game. For example, the economic situation can be greatly affected by trade that allows the player to use 6 different types of negotiations; the internal political situation is affected by happiness both on local and national level; and the foreign political ambitions by maintaining good or even exceptional relations with some key players. The territorial conquest is not only determined by the strength of the armies but a number of other factors that have to be aligned. Proper supply lines have to be maintained to keep the forces strong and healthy, army morale of the battle units affects the outcomes, loyalty of newly conquered cities have to be considered when using them for recruiting new and healing existing units. 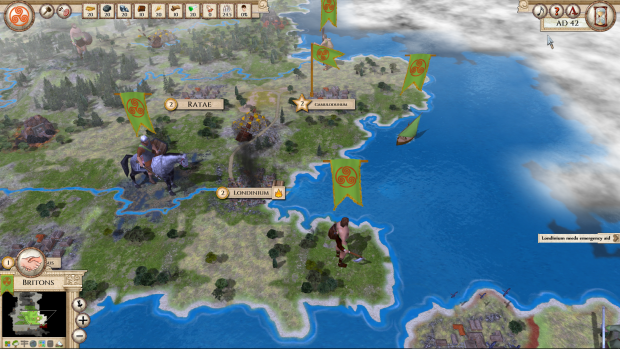 New lands and cities can be obtained by force but the game also allows more subtle ways such as using Influence to incite unrest in foreign cities or by laying siege to enemy cities. Great emphasis was put on the tactical side of the game. 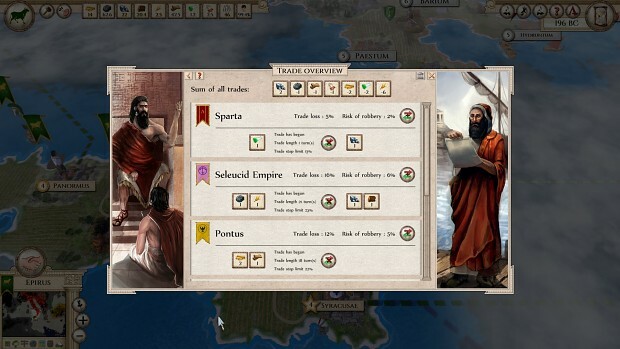 There are 5 different army types in the game (Roman, Greek, Carthaginian, Persian and Barbarian) that have their own distinct properties and traits. They can obtain more than 20 different improvements to enhance their fighting skills. The combat itself uses high-level tactics and combines more than 10 factors that affect the battle outcome starting from terrain bonuses and penalties, to army morale, loyalty, general morale, sufficient supplies, battle readiness, experience and many others. All these factors are taken into account in every single battle and the final outcome is derived from them. The historical scenario offers great variability in terms of original setups: different strategies that are required or challenges that will test your ability to lead a nation. The AI is well aware of all the game mechanics and is capable of landing expedition forces from the sea, raiding trade routes, building strong alliances and even recognizing good and bad trade deals. We also introduced various “personality” traits to the AI behavior such as enemy of my enemy is my friend or seeking revenge even after decades of relative peace. To add more variability to the game, we also included a customized world builder into the vanilla version. Player can adjust the size, climate and land mass of the world and define how populated and developed the state infrastructure will be at the beginning. Two additional settings define if the starting conditions will be similar for all nations or not and if the player starts with an advantage. 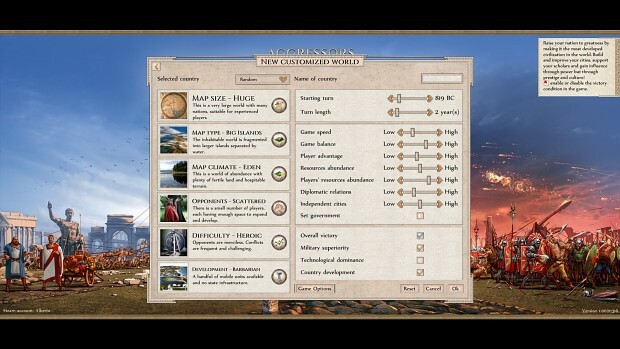 The customized world builder uses a dynamic map, just as the historical setup, but it is not a flat dull world. We use an algorithm that creates a contour map based on terrain type detection and so is able to produce very real-looking maps. 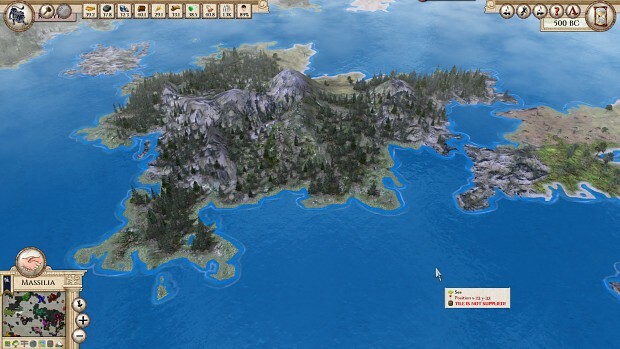 The maps can be further adapted by using the In-game Editor that allows you to change map patterns, terrain and terrain features (rivers, roads) and territories, add or remove cities and units, as well as define new diplomatic relations, mutual attitudes or known technologies. Above all that, the game supports modding – everything is in an editable and self-explanatory format on both levels – scenario (or game) level and mod level. Player can create his own maps with units, roads, rivers and nations (with all related attributes such as personalities, relations, technological development), random events, objectives, victory conditions, unit names, etc. Most of these things can be easily edited directly by using the in-game editor. Aggressors has a full Steam workshop integration where additional content created by other players will be available (there are already items made by the beta testers to be shared), and it is easy to download or publish your own content. The game offers deep gameplay with plenty of variability to satisfy all kinds of players. You can find much more in-depth information in the Dev diaries that we have been publishing in the past couple of months and you can also look at some of the many preview gameplay videos on YouTube. 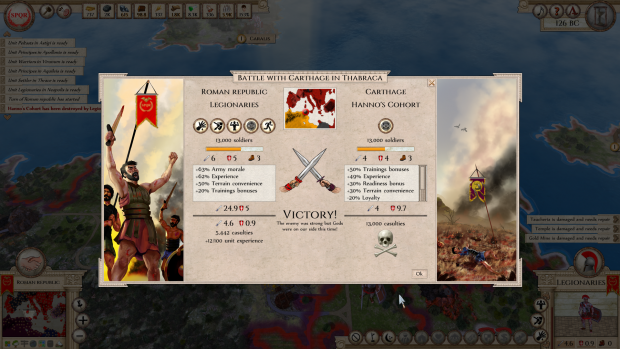 The game will be available from 30th August on Slitherine website, Steam and Gog. We trust that you enjoy the game and spend many fun hours playing it!